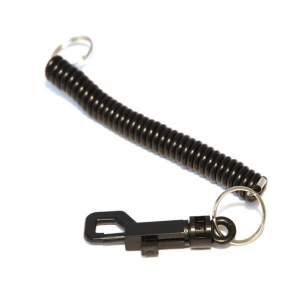 Black spiral lanyard complete with clip and keyring. 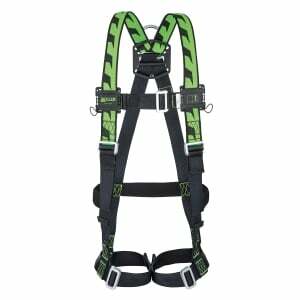 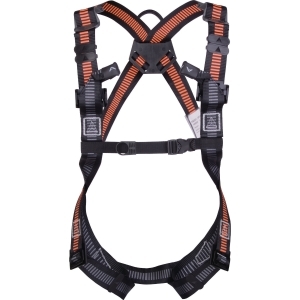 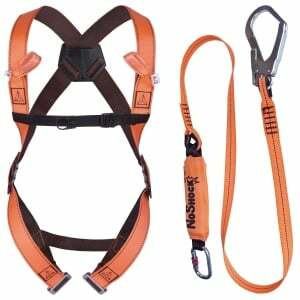 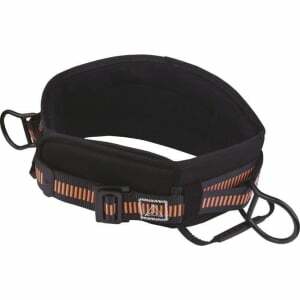 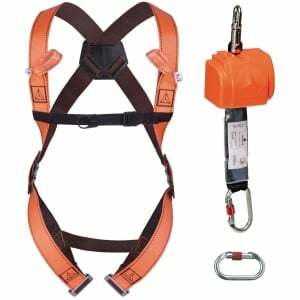 Harnesses dedicated to construction and general industry sectors providing more comfort, freedom of movements and safety to workers. 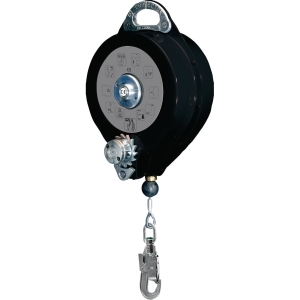 Certified for a maximum load of 140 Kgs. 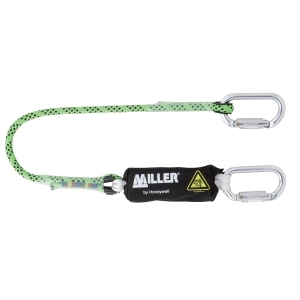 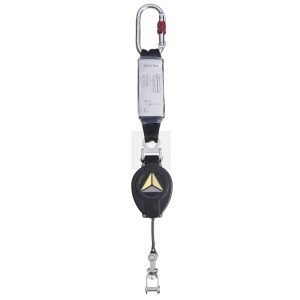 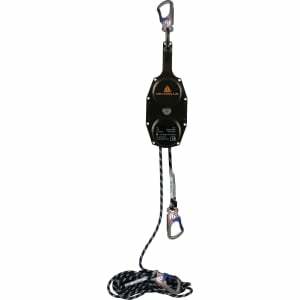 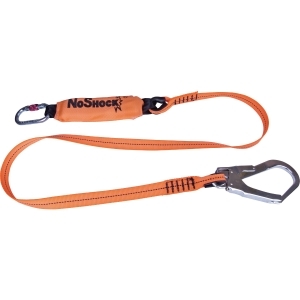 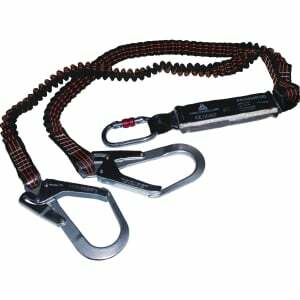 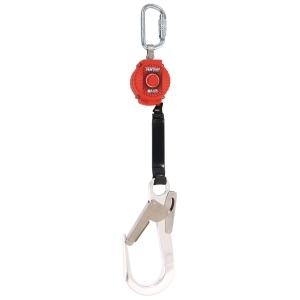 Miller kernmantel edge shock absorbing lanyard 1,5 meters with a steel twist lock and a GO55 steel scaffold hook karabiner. 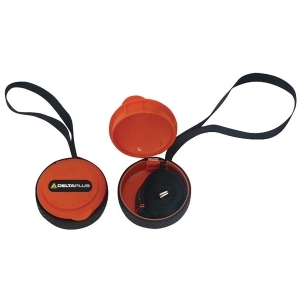 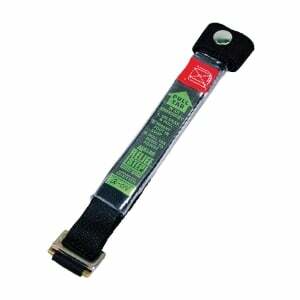 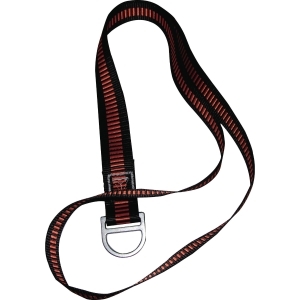 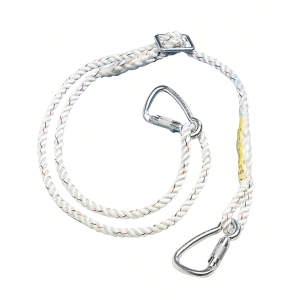 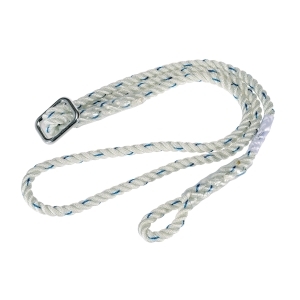 Lanyard edge tested : manufactured with hight quality kernmantel rope and have special. 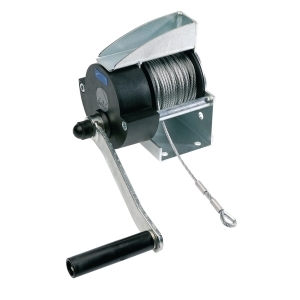 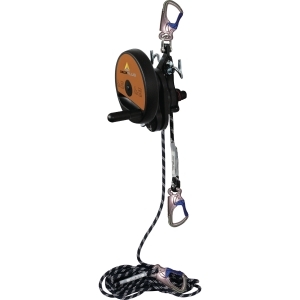 The rope is 2 times more resistant to the abrasion than the other standard ropes. 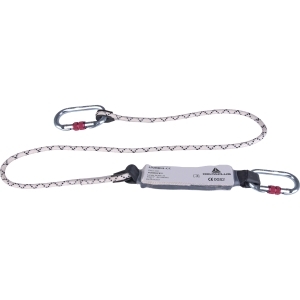 Miller kernmantel forked restraint lanyard 1 meter with 1 steel twist lock karabiner and 2 GO55 steel scaffold hooks. 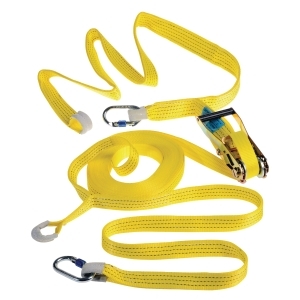 Manufactured with a light green rope with black stripes, which are highly visible from a distance increasing safety at work. 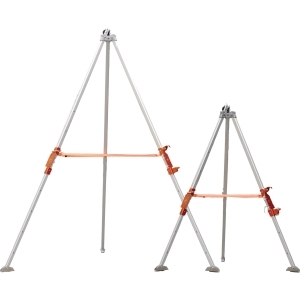 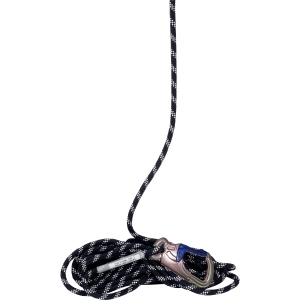 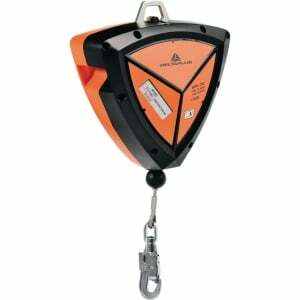 The kernmantel rope is 2 times more resistant to the abrasion than the other standard ropes.